Unseasonably hot temperatures and dry conditions have triggered wildfires in a part of the world normally associated with snow, ice and rain. Sweden has been worst hit by the blazes, which are also raging in Norway, Finland and Russia. Last week (16 July), the Swedish government requested assistance from the European Commission, which coordinates voluntary efforts by the EU member states. 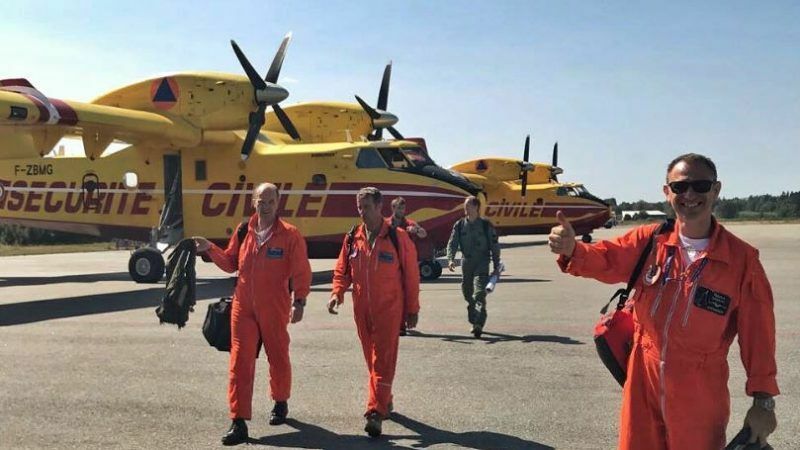 So far, seven firefighting planes from Italy, Portugal and France and six helicopters from Germany and Lithuania have been dispatched, while nearly 200 firefighters from Poland and Denmark have made their way north. EU humanitarian aid chief Christos Stylianides said he “would like to thank all countries for their quick offers of help through our EU Civil Protection Mechanism”, adding “this is what our citizens expect in a Europe that protects”. In the town of Bjursås, northwest of Stockholm, where the fires are particularly intense, inhabitants lined the streets as Polish firefighters travelled towards the wildfires. There appears to be no immediate end in sight to the sweltering conditions either, as temperatures are expected to stay around the 30 degrees Celsius mark across the region. 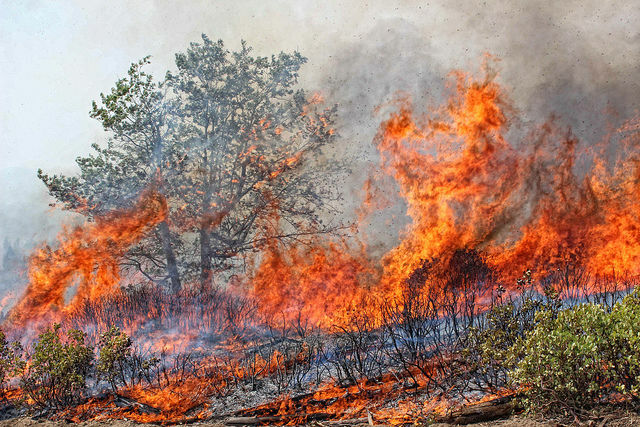 Scandinavia is particularly at risk from wildfires because normally wet and mild conditions mean forests and peatlands develop large carbon stores. That means any source of ignition, be it man-made or natural, can spark huge blazes. The European Forest Fire Information System has warned that fire danger conditions would remain high in Central and Eastern Europe over the next few weeks too. In June 2017, deadly fires killed 64 people in Portugal and 45 more lost their lives in October, despite a similar show of solidarity by member states, which eventually brought the blazes under control. European Commission President Jean-Claude Juncker said on Monday (30 October) that the EU was mulling “re-organising” the civil protection assistance in Europe following the deadly forest fires in Portugal. EU assistance is not limited to Europe either. Early last year, nearly 200 firefighters from across the continent were dispatched to Chile, after the South American nation’s government requested assistance. That is because the EU’s Civil Protection Mechanism, which includes the 28 member states, Iceland, Montenegro, Norway, Serbia, Macedonia and Turkey, allows any country around the world to ask for help. Argentina, Brazil, Colombia, Japan, Mexico, Panama, Peru and Venezuela have all benefitted from similar schemes. 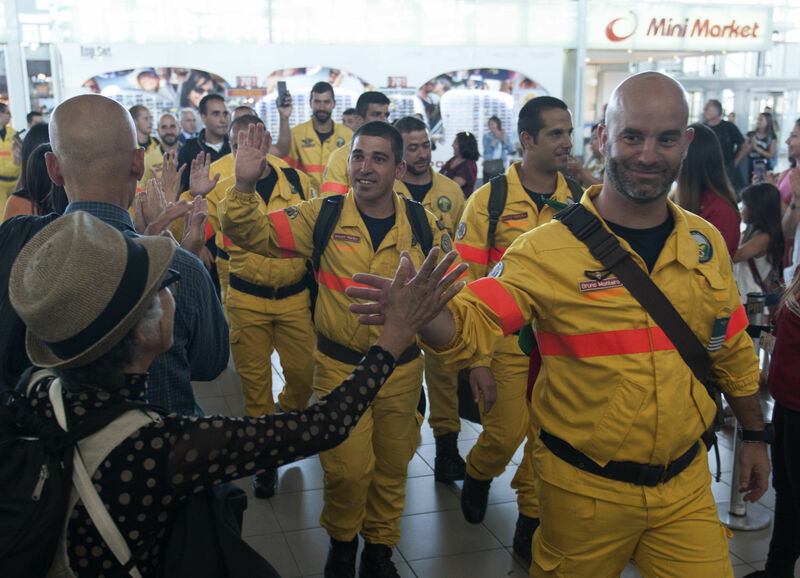 Chile has thanked 180 firefighters from Spain, France and Portugal for their help in tackling fires that have swept across the South American country, after an EU scheme allowed their assistance to be requested by Santiago. Euractiv Spain reports.